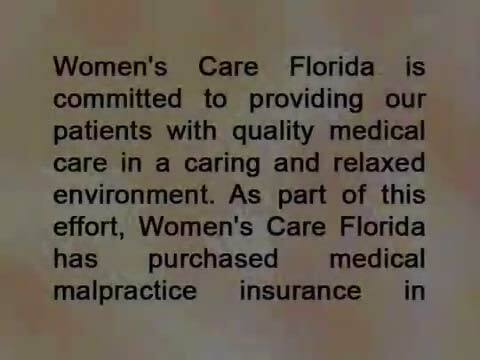 Women’s Care Florida – OB & GYN Specialists has been part of my family for over 12 years now. I have truly valued my experience with this practice due to its friendliness, general concern for my well-being, and the profound knowledge and experience it has to offer patients. Dr. Mark Wilstrup has been my “rock” throughout my journey. He has extended expert care during my two pregnancies and delivered both of my children via C-sections, one of which was emergent. He has also guided me through a very difficult miscarriage and continues to care for me now with routine visits. I also have to highlight a few other staff members who have helped me along the way. Included in this list are Bert, Nancy, Adrienne and Ami. Bert is the best phlebotomist I know and can take my blood anytime! I would come to him for all my bloodwork if it was allowed. Nancy and Adrienne are great nurses, with gentle spirits, who really care. Finally, Ami at the receptionist desk, greets me by name when I walk through the door. All of these people make me feel like family. It takes many people to run a successful practice, and Women’s Care Florida – OB & GYN Specialists does it right! Thank you for all your dedication through the years! I have been Carolyn’s patient for over 10 years. She is the consummate professional, yet approachable and nurturing. I trusted her with the prenatal care of my two daughters, and have always felt very connected to her. Her support is endless. I started seeing this practice in my 20’s. For the past 20+ years, they have seen me through fertility issues, miscarriage, births, c-sections and general women’s wellness. The care that is given is very high-quality. I never feel rushed and always welcome to discuss whatever I feel necessary, even when visiting doctors other than my usual doctor. When you go through the hard times, they help with a caring hand. When you go through the good times, they celebrate with you! I HIGHLY recommend this team of doctors! I have delivered two children with OB & GYN Specialists and although they are a large group, I have never felt like a number. I have gotten phone calls personally from my doctor which means the world to me. Every doctor and nurse practitioner that I have seen at the practice have treated me like family and I trust them wholeheartedly. I am a patient for life. After two years of unsuccessful pregnancies, my husband and I were beginning to lose hope of our dream of having two children. Dr. Logan never lost hope! With her expertise, support, and compassion in the field our family became pregnant and we delivered our 2nd baby girl in January. Dr. Logan will always be special to our family because she truly identified with our situation and was confident that our dream could become reality! My husband and I both work in the medical profession and we are always looking for doctors that treat patients with the utmost respect and are very knowledgeable in their field. The staff at OB & GYN specialists are spectacular and extremely quick to diagnose conditions and helped save my life along with my daughter’s life. I was experiencing a slight pressure in my head similar to a sinus infection. I went to a walk-in clinic on a Thursday night which I was given an antibiotic. I had an elevated blood pressure so I went to OB & GYN Specialists on Friday morning With my symptoms showing possible pre-eclampsia, I was sent to the hospital for a direct admission and a 24 hour stay. While in the hospital my blood pressure began to rise along with other complications. I was experiencing severe pre-eclampsia with HELLP syndrome. I was rushed into emergency surgery in which my wonderful daughter was born. I was in ICU and the hospital for 7 days. If I was never sent to the hospital by the doctors at the office, the situation could have been different. The knowledge demonstrated by all the doctors at OB & GYN Specialists saved my daughter’s life along with mine. I will never be able to say thanks enough to their office. Dr. Logan is the most caring, compassionate, and understanding doctor – appointments with her are like visits with a good friend. Women’s Care Florida – OB & GYN Specialists has a dedicated staff of professionals that always make you feel like you are a priority. I cannot rave enough about Women’s Care Florida – OB & GYN Specialist. From their friendly front desk staff to their doctors and nurses to the billing staff everyone is wonderful. Dr. D’Heureux not only is knowledgeable but takes time at every appointment to listen to any concerns or questions. Dr. D’Heureux has been a great support for helping my husband and I throughout our first pregnancy. I highly recommend Women’s Care Florida- OB & GYN Specialist to all of my friends and family. We had a wonderful experience with the facility. The nurses and staffs were really helpful. We used to see Dr. Tandon regularly and he made my 10 months journey less stressful. He used to take time to explain even the silliest of our doubts and is a great Doctor. For my delivery, Dr. Logan was on call. She was cheerful and her encouragement made it a lot easier during the delivery. All in all had a great experience with them. Rest assured, my care and well being was in the best of hands with each trusting Doctor. 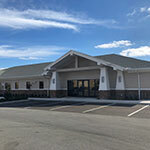 Their dedicated effort to endeavor a sense of personal comfort and security for their patients is greatly appreciated. When I moved to Orlando six years ago, I asked all my friends and colleagues where I should go for my annual check up. They all said the same practice, Ob & Gyn Specialists. Over the years I have learned why everybody goes to these doctors. They are simply the best! I have seen a few of the doctors and Nurse Practitioners for my annual check ups, and I always feel I am getting the best care. But for my two pregnancies I saw Dr. Logan. She has a way of making you feel like you are her only patient. When results from the prenatal tests come back, she is the one who calls, not a secretary. Even during the most worrisome moments, she has a way of making you feel that everything is going to be fine. She is always so calm and tentative at every visit. I am so thankful I was cared for and guided through my pregnancies by such an amazing doctor. My husband and I are expecting our 3rd child. We have been patients of Dr. Diebel for all 3 children. He is the best Doctor we have ever been to. He is very straight forward and very good with his patients. We would recommend him to any expecting parents. There is something very comforting about being in his presence.